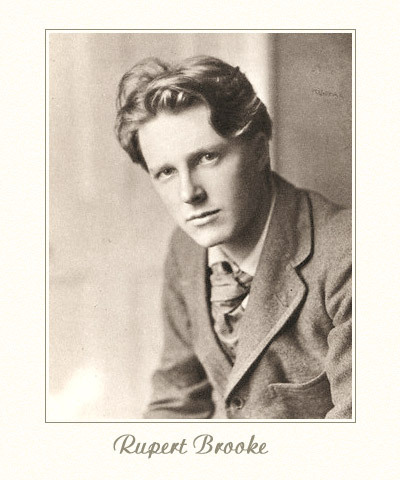 Lives of the poets ~ I love to read about them in biography, memoir, or novelized, as Jill Dawson has done with such flair in her book The Great Lover, based on the life of Rupert Brooke. Using many of the poet’s own words excerpted from diaries and letters, Dawson has created an imaginative portrait of the artist as well as the society in which he lived. 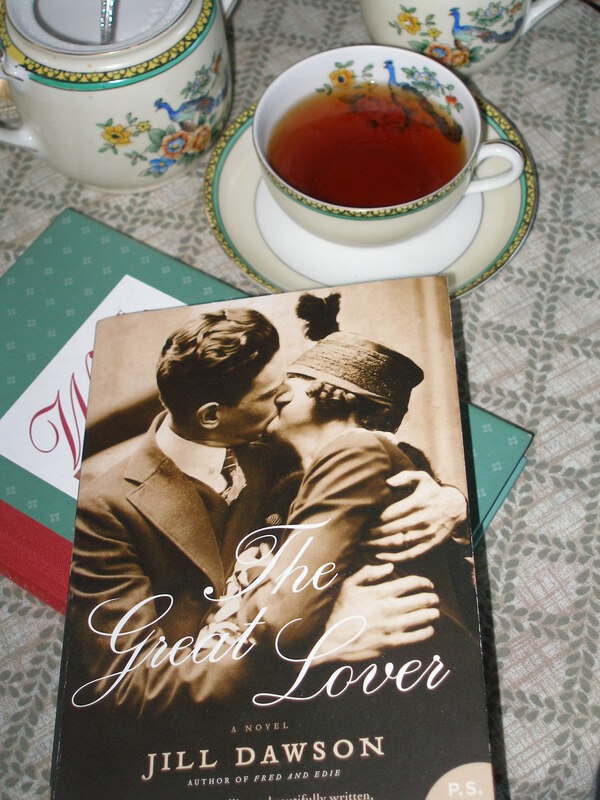 The story is told from the alternating viewpoints of Brooke, and Nell Golightly, a housemaid at the Orchard House and Cafe, where Brooke rents rooms during the period between 1909 and 1914. Brooke, who is tormented by troubling confusion about his own sexuality, finds himself drawn to Nell’s practicality and strength. For her part, Nell tries hard to resist the beautiful young poet, knowing in her heart of hearts that a relationship between a “doff” like Brooke and a mere housemaid is doomed from the start. Of course the reader knows the truth of this as well, but the relationship that develops between the two doesn’t seem as stereotypical as you might expect, largely because Nell is such a strong, admirable and intelligent young woman. Brooke, by contrast, is rather annoying at times, with his wretched insecurities and whining. I quite wished Nell would take him even more firmly in hand, if only to set him straight. Because while Brooke seems to have difficulty finding and accepting his “one true self underneath it all,” Nell knows who she is all along. “Nell Golightly might be just a maid from Prickwillow, but she can face facts and she won’t be anybody’s fool,” she thinks. So glad she accepted the challenge. I envy you, reading this book. One of the most interesting things about this book for me was the fact that the portrait it drew of Brooke was of someone deeply flawed in many ways and this is, I think, how he comes out when you read accounts of him at the time. I think he exasperated as many people as he fascinated, although he certainly fascinated a lot of people. MY favourite character was Ka Cox, partly because I got to ‘know’ her through Woolf’s journals and it was interesting to get another perspective on her. This sounds like a wonderful book! I love the vignette of book and coffee cup, complete with coffee. Nice touch! He was lovely. But the whining would do me in. – you’ve made my day! Well, you’ve made me add yet another book to my TBR list. Also, your vintage Noritake teacup set is gorgeous. Are those peacocks? Do you know the name of the pattern? I love it!